La Festa della Ginestra is a celebration of the beautiful, wild yellow flowers that can be seen growing around Ischia. A traditional trekking festival, the walk starts in the village of Buonopane and heads into the mountains where a picnic awaits. This festival is dedicated to San Vito, the patron saint of Forio d’Ischia. It’s four days of celebrations including local bands, religious processions and firework displays. This star-studded event showcases the best in world cinema and documentaries. It’s followed closely by the Ischia Global Film & Music Fest, which normally takes place in mid July. A lovely property with a fantastic cliff side setting in peaceful gardens with superb views over the Gulf of Naples, yet a short walk from Ischia’s port. This is an ideal hotel for those looking for a relaxing week in a welcoming property. 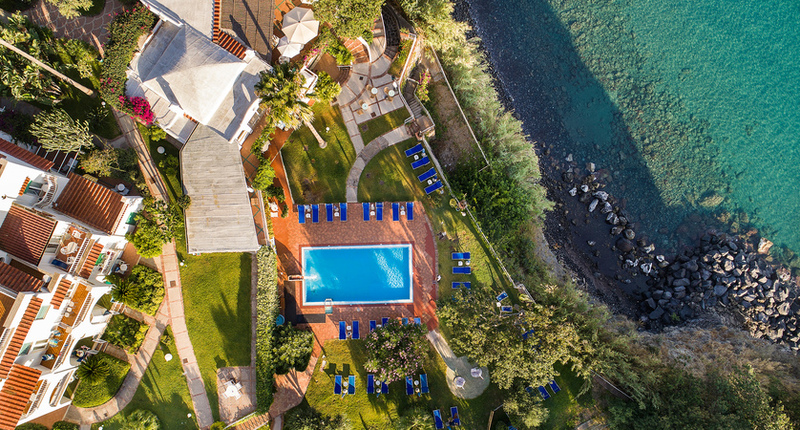 This high standard hotel enjoys a superb location by the seaside a few steps from the centre of Ischia Porto and surrounded by a beautiful lush garden. Once an aristocratic villa, the Grand Hotel Excelsior Terme offers guests an elegant retreat. 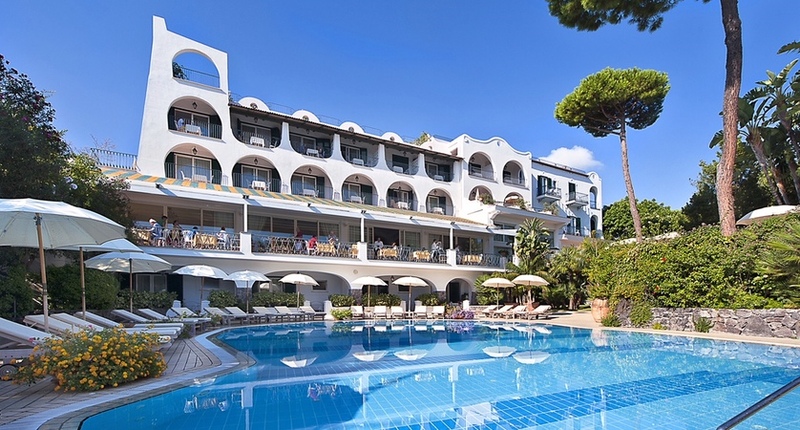 This lovely five star hotel is set above a sandy bay just a few minutes’ walk from Ischia Town. 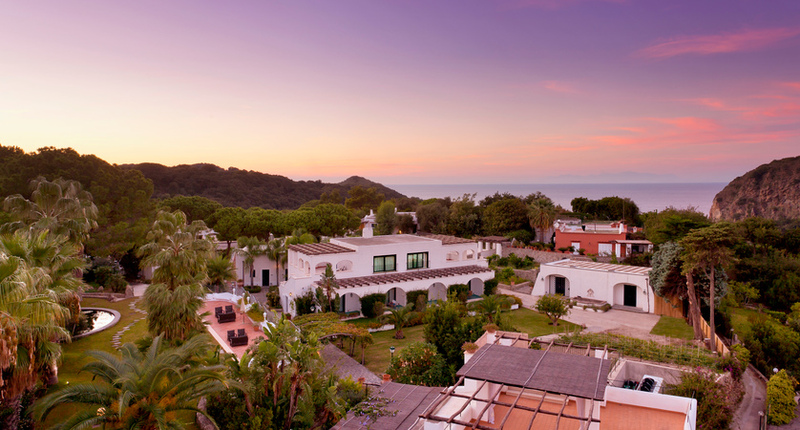 Hotel Capizzo is a charming hillside retreat overlooking the Bay of Citara. A relaxing property nestled amongst seven acres of beautiful grounds with welcoming staff, excellent food and within a short distance of the popular Negombo Thermal Park. 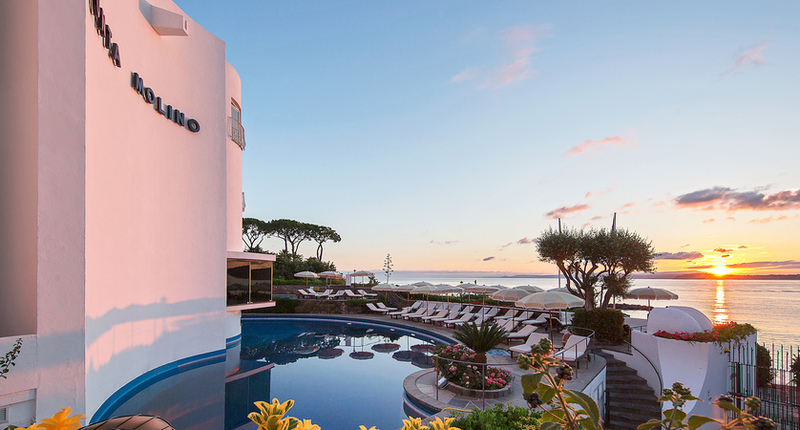 The Miramare Sea Resort & Spa sits on the edge of the island and enjoys superb sea views. The little island of Ischia is the perfect spot to relax after a busy few days in the bustling Sorrento or Amalfi Coast. You could also add an element of island hopping to your holiday by combining it with a stay on nearby Capri. For a more authentic escape, add a few nights in Naples either before or after.